Recipes using olives in the ingredients. 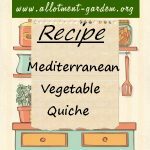 Easy and fast recipe for Mediterranean Vegetable Quiche. Enough for 4 people. Can be eaten either hot or cold. Serve with a crisp green salad. 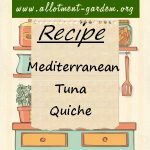 Easy and quick recipe for Mediterranean Tuna Quiche. Enough for 4 people. Can be eaten either hot or cold. Serve with a crisp green salad.